Last month, we wrote about a formal name change for the Gambia, a small country in Africa. But the Gambia wasn't the only country to modify its official name this year: Europe's Czech Republic also filed a name change with the UN, of a slightly different kind. Rather than changing the details of its full name, as the Gambia did when it switched out "Republic of the Gambia" for "Islamic Republic of the Gambia", the Czech Republic actually only changed its foreign language short name. 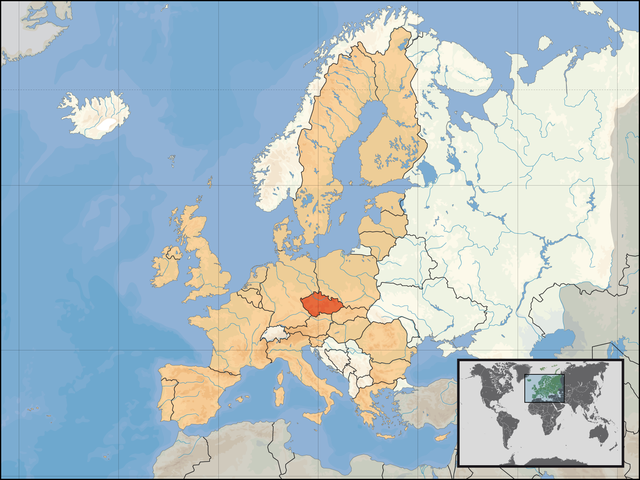 The modern Czech Republic has only been an independent country for the past 23 years. But the core of what's now the Czech Republic was historically known to English speakers as "Bohemia" - or Čechy in the local language. When it declared independence from the defeated Austro-Hungarian Empire at the end of World War I, the country named itself Czechoslovakia, after its two biggest ethnic groups, the Czechs and the Slovaks. When that country peacefully split in two in 1993, the eastern half quickly became known as "Slovakia". But people couldn't agree on a better English name for the western half than its full official designation, the "Czech Republic". In the Czech language, the new country was often known for short as Česko, from the first half of Česko-Slovensko, the native name of Czechoslovakia. Though Czech people are still getting used to it, today this name seems to have won out over the historical Čechy (Bohemia), because the modern country also includes historical Moravia and part of Silesia, both regions that weren't part of Bohemia proper. As for the English version, "Czechia" has reportedly been used by some branches of the country's government since as far back as 1993 (and has been used occasionally by foreigners for hundreds of years). But the short English name has never really caught on, probably because Czech people themselves have often been reluctant to really get behind it. Still, it could be seen from time to time within the country itself. Tired of not having an agreed-upon short name for the country (competing suggestions included "Czechlands" or just "Czech"), the Czech government this year decided to go all the way with "Czechia". After a joint endorsement of the name by the president, top ministers, and leaders of the legislature, the government moved to register an official name change at the United Nations (actually just adding a new short name alongside the formal full name of "Czech Republic"). By July, the new name was showing up in the United Nations UNGEGN country name database, and in September the new short name was added to ISO 3166, a standard list of country codes and names used by many organizations and businesses around the world (ISO isn't associated with the UN, but uses the UN database as the main authority for world countries). Unlike Burma's controversial change of English name to "Myanmar" in 1989, "Czechia" has earned quick acceptance from the governments of the world's two most prominent English-speaking countries: the US and the UK. The British government announced in September that it was officially recommending the new short name, and the US government's well-known CIA World Factbook website has also adopted the new name. But it's hard to say how long it will take to catch on among average English speakers around the world. Ivory Coast's name change to "Cote D'Ivoire" is still struggling to catch on outside diplomatic circles, even after 30 years. And if opinions within "Czechia" itself are anything to go by, it's not off to a good start. For other languages, there's no worldwide authority saying what you should call any given country. But as many have pointed out, some languages already have a popular short way of referring to the Czech Republic, such as the German Tschechien. PolGeoNow staff can also attest that Chinese 捷克 (also spelled Jieke, and pronounced roughly as "jayka"), was in widespread use even before the official name change. Country Name Changes: Is This Normal? Countries register official name tweaks with the UN at an average rate of about one per year, and it's not unusual for a country to change its name only in English and other foreign languages, as Cape Verde did back in 2013. However, this may be the first time in modern history that a country has changed just its short name, without making any change to the full official name. Political Geography Now wasn't able to find another such case in the entire history of the UN system - and before the UN was founded in 1945, we doubt there was any central place for countries to register official nicknames. But then, there's no rule against it, so why not? 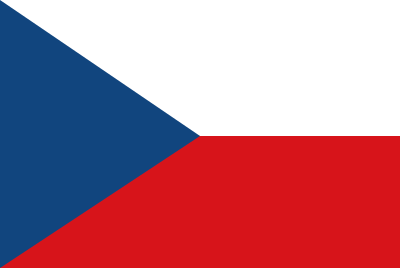 Graphic of the Czech flag is in the public domain (source).